The Green Box is out for one last time before Christmas. 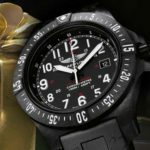 This week we have a little something in store for the guys out there, a Breitling timepiece. Founded in 1884, each style of a Breitling Swiss watch, either men’s or women’s, is celebrated for its elegance, precision, quality, and durability. Breitling is inspired by aviation and many timepieces have features utilized by fighter pilots worldwide. Furthermore, Breitling has demonstrated its luxury and versatility by manufacturing lines of watches specifically for divers. 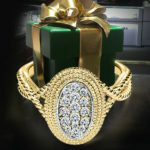 The piece of the week the box finder will receive is a Eli Jewels Sterling and & 18k yellow gold pendant and necklace. 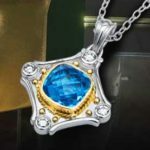 The Aegean pendant is embellished with diamond and features a beautiful blue topaz. The piece retails for $1795. Please keep in mind, that our box is not hidden in a place that is dangerous. 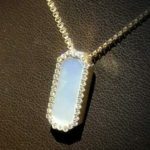 If you would like a clue in a day in advance, come in and try on a piece of Eli Jewels. 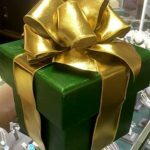 Wednesday Nov. 15th, we’ve hidden the Green Box once again! This time it’s in Columbia County! 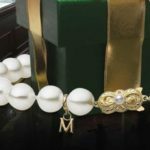 The brand of the week is Honora! 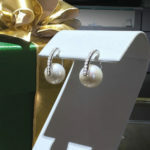 Honora has a wonderful selection of trendy fresh water pearl jewelry that starts at $60 and goes up from there. Wednesday Nov. 8th, we’ve hidden the Green Box once again. The Windsor brand of the week is Gabriel & Co. and they are quite a brand. Gabriel & Co. is unique to Windsor because we would consider them a true, “full spectrum” brand. 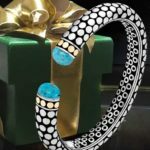 Many brands have a highlight category or a type of jewelry that they really focus on – Gabriel & Co. does very well in multiple in areas, entry fashion silver (starting from $75), fashion gold and diamond (starting from $450) and of course, engagement rings that are second to none. 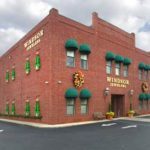 If you can find the Windsor Green Box that we’ve hidden in the CSRA each week, you’ll get a prize that retails for OVER $1000 and some are OVER $2000. Each week features a different designer and you can stop by the store, try on a piece from the designer and get a different clue everyday that you visit. Our Windsor rock game has returned for kids that are 12 and under! Instead of a one time game of returning the rocks, once a rock is brought into Windsor and redeemed for a piece of jewelry, we’ll put it right back into a park in the CSRA – ALL THE WAY UNTIL CHRISTMAS.